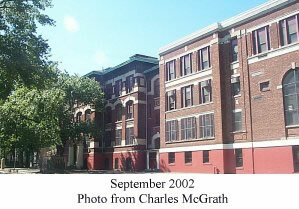 I received my primary education at Lincoln, as did many others on this site. Does anyone remember Auditorium (or Assembly)? Back in the 1940's the 5th-8th grades would go to the auditorium as a group once a week. The principal would talk to us about something that he felt was important. After he shared his monologue with us we would spend around 45 minutes singing. It seemed like everyone enjoyed singing. Mrs. Pearl (5th grade teacher) would play the piano and Miss Racioppi (8th grade teacher) would direct our singing from the center of the stage. As young innocent children it seemed like everyone enjoyed it. We learned many nationalist songs. Some songs were related to our culture and the old frontier. These were some of the songs and some I haven't heard since that time. Rubin ,Rubin I've been thinking.... , Sweet Betsy of Pike, Star Spangled Banner, America, My Garden State (New Jersey's state song), On the 12th day of Christmas. And many more that have been lost in the passing of time. This one never left me. It was our school song. The "alma mater" for Lincoln Grammar School. It was written by Mrs. Pearl the 5th grade teacher in the early 1940's. For the school we love so dear. This may sound corny by today's standards. But back then it gave a feeling of love towards our country and fun at the same time. This was more than Auditorium. This was Americana!